Bass is one of the most coveted catches among anglers, but they're also one of the trickiest. 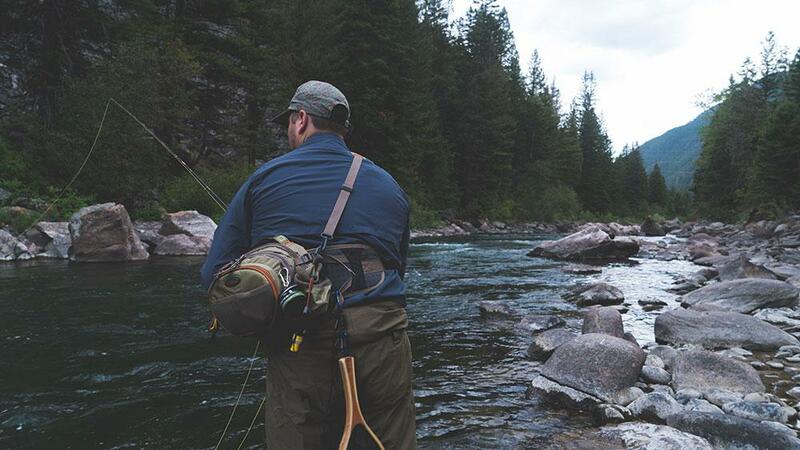 Follow these tips for the perfect catch. Written by John Neporadny Jr.
We all look forward to going fishing on those warm, glory days of summer. If the water temperature is in the bass comfort zone and there is a little bit of a breeze, you can count on catching plenty of bass. Here are some tips to help you haul in that photo-worthy catch. Looking back through my fishing photo album, I noticed that in nearly every photo I have of myself with a hefty bass I’m usually wearing a rain suit or insulated coveralls. So the first bit of advice I offer for pursuing lunker bass is to build up a tolerance for nasty weather. Science has never proven that big bass are foul weather fans, but noted Oklahoma fisheries biologist Dr. Loren Hill discovered through his various studies that bass are affected by barometric pressure changes. So if you are looking for the prime time to catch a lunker, keep an eye on a barometric pressure gauge and go out when the pressure is falling or at least when high pressure has leveled off to a steady reading. Another helpful tip for catching lunkers is to use bigger lures and baits. Small offerings will occasionally trick big bass, but most of the time, pot-bellied bass prefer a full meal deal. So use 8- to 10-inch plastic worms rather than 4- to 6-inch versions and 1/2- and 3/4- ounce spinnerbaits rather than 1/4-ounce versions. You can increase your chances of catching a heavyweight bass by trying lures that traditionally trick lunkers. Probably the top big bass lure combination is a rubber skirted jig with some type of pork or plastic chunk or plastic crawfish as a trailer. Other top big bass catchers include a buzz bait, Zara Spook topwater plug and deep-diving crankbaits. 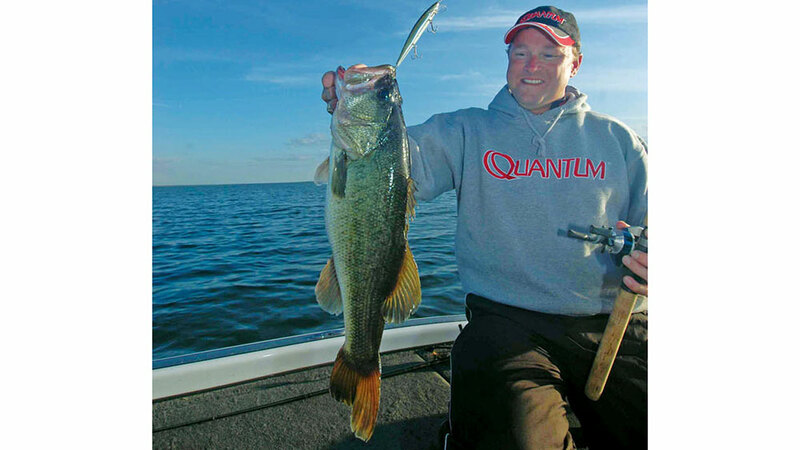 Using lighter line will also help you trick more lunker bass. Make sure you set your drag light, though, to prevent that behemoth bass from breaking your line with a quick surge. Unlike a striped bass that takes long, hard runs capable of spooling all the line off of your reel, big largemouth and smallmouth bass take short power surges that can be controlled if you have your reel drag set properly. Lunker bass usually have a bigger appetite, so use bigger baits to tempt these heavyweight fish into biting. Probing deeper water will usually put your lure in a lunker's lair more often. I can recall one April trip on my home lake when we fished down a bank and caught five small bass in the shallows. So I turned the boat around, moved farther offshore and fished back down the same bank but in deeper water. The move produced only one bite but it was from a 71/4-pound largemouth bass. Big bass also love to hang around weeds, so if your lake cabin is next to a spot filled with aquatic vegetation you have a prime location to catch a lunker. 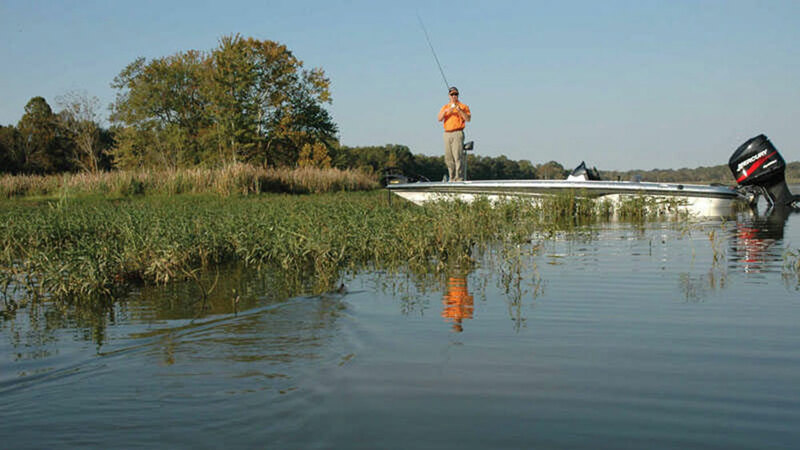 On lakes devoid of weeds look for big bass in the thickest cover you can find – whether it is a log lay-down, stump field or boat dock. Pitch your lure into the thickest and shadiest part of the cover, because a big bass will usually reside in such a spot to use it as an ambush point. Weed beds are prime hiding spots for big bass. Targeting the prime times and seasons will also increase your odds of catching the big one. Most of the big bass I have caught were taken in the early spring, the post-spawn period of early summer and late fall. All three of these periods prompt large bass to chow down more on their favorite forage. In early spring they feed heavily in preparation for the spawn and during the post spawn they go on another feeding binge to nourish their bodies after going through the rigors of spawning. In the fall, big fish eat heartily to fatten up for the winter. You can catch some big fish in the winter, but bass tend to eat less then and the weather is usually too intolerable to get out on the lake for that one lone bite from a lunker. Some lunkers can also be caught in the summer if you are a night owl who likes to fish in the dark or are proficient at fishing in deep water. John Neporadny, Jr. once caught a 12- pound bass, but he has plenty of stories about bigger ones that got away.